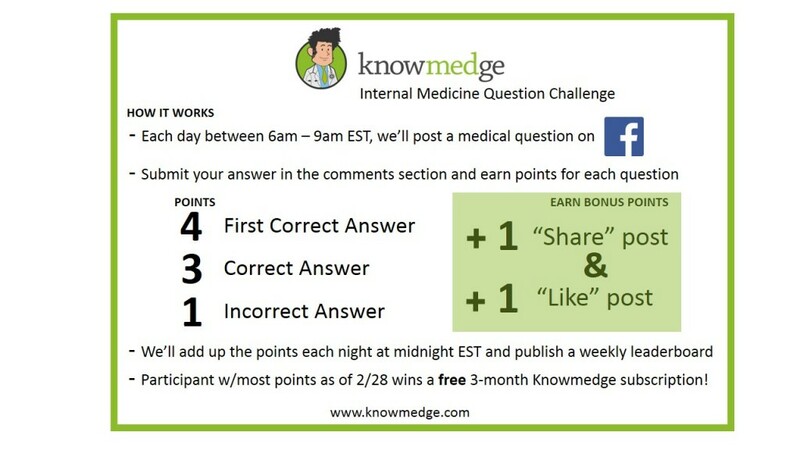 We’re excited to kick off the Knowmedge Internal Medicine Question Challenge for all our Facebook followers! 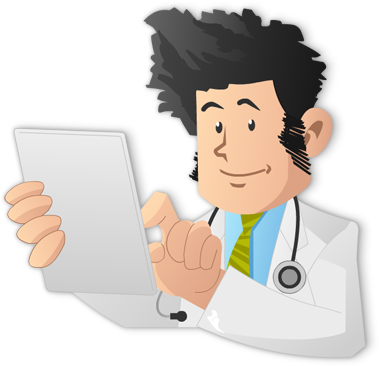 1 BONUS POINT: Awarded to all participants who “Share” the question with their facebook friends and help us spread medical knowledge! At the end of the month, the participant with the highest overall point total will receive a free 3-month Knowmedge subscription and bragging rights!